Jennifer was born in Sioux City, Iowa. She graduated from Cedar Falls High School in Cedar Falls, IA, Worsham College of Mortuary Science in Wheeling, and attended Hawkeye Community College in Waterloo, Iowa as well as Lincoln Land Community College. 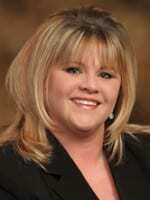 Jennifer joined the Staab Family team in 2001 as a greeter and became a funeral director in 2003.